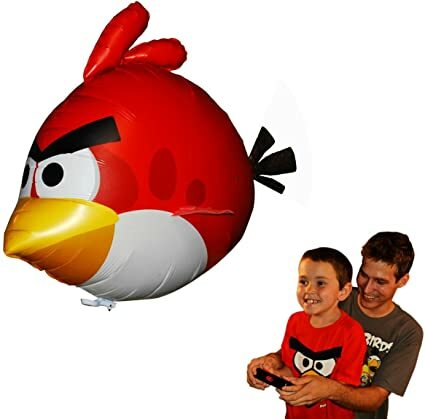 7 Kids and Us: Angry Birds Air Swimmers Turbo - RED Flying Remote Control Balloon Toy $9.49! Angry Birds Air Swimmers Turbo - RED Flying Remote Control Balloon Toy $9.49! This Angry Birds Air Swimmers Turbo - RED Flying Remote Control Balloon Toy is 82% off making it just $9.49! Bring Angry Birds to Life! Attack the bad piggies! Only official, authentic Rovio Angry Bird Air Swimmer product in USA - Buy Quality.